Episode #1 - "The Creation of Sisterlocks"
Carol is Dr. C's sister and her very first client! Her Sisterlocks were experimental because the techniques had not yet been worked out. Carol has worked for the Sisterlocks Company since its inception in 1993. Sisterlocks was launched in June of 1993 in San Diego, CA. At that time, according to Dr. Cornwell, California was a wasteland when it came to natural hair care. Dr. C had been doing hair her whole life, but had no clue about how to start a business. She spent a good part of that first year trying to partner with established beauticians and locticians around the country. None of them wanted any part of Sisterlocks! While explaining Black women's reactions to her hair in the early days of Sisterlocks, Dr. C says, "I think of a line from Zora Neale Hurston's book: 'It was like something fell off the shelf inside of her.'" She is referring to the novel, Their Eyes Were Watching God. Although it was published back in 1937, it remains one of the great works of African American literature. The scene Dr. C is referring to depicts the main character's inner reaction to a life-changing realization. Dr. C explains in length how she came up with the idea of Sisterlocks in her book, That Hair Thing (and the Sisterlocks Approach.) The chapter is titled "So, How Did You Come Up With This Idea Anyway?" The book itself is out of print, but the eBook version is available on the Sisterlocks website. How can I use a TA Certification? Trichology Analyst Certification Courses are offered at each Freedom Tour Stop in 2018. Additional courses will be offered as demand dictates. Dr. C discusses her business approach, which got the Sisterlocks Company way past those first 5 crucial years when most businesses fail. She was inspired by her grandfather and the type of Black community he grew up in. African Americans of his generation (circa 1900) could not assume that private companies, city or state agencies, or even federally sponsored services would be available to them. So, they devised ways to support each other. One of her most prized possessions is this certificate, issued to Joseph Washington Jenkins, her grandfather, in 1939. It states that the members of this Grand Board of Relief would each kick in a certain amount upon his death, to be paid to his named beneficiary. How cool is that!?! Dr. C hopes that, wherever you are, you will support groups like this one and the events they sponsor throughout the year. Sisterlocks is planning a cruise to the caribbean in the late fall (November/December.) Check the Sisterlocks website regularly for updates. 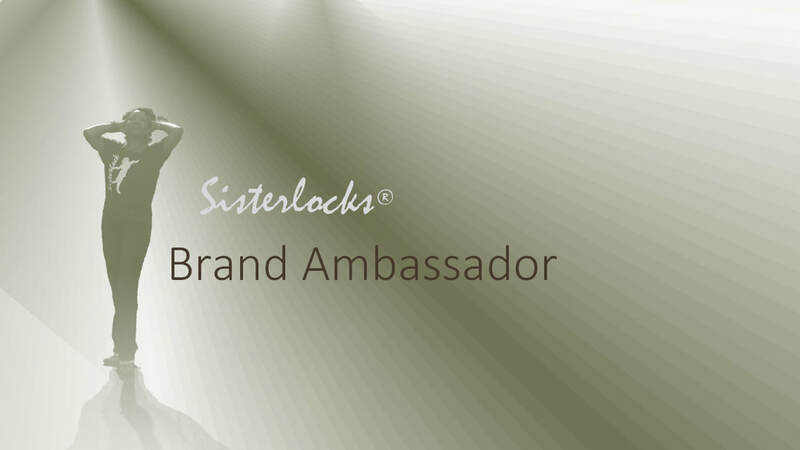 In 2018, Sisterlocks will roll out our new ​Brand Ambassador Certification. Click image for more information.